We love to make Valentine’s Day special for the entire family. However, it can be hard coming up with Valentine’s Day Gifts for Kids that won’t bust the budget. We have a list of fun things that don’t take a lot of time or a lot of money but will be really special. Hopefully these ideas will create lasting memories and start a yearly tradition. Our kids look forward to Valentine’s Day each year because it is so special to them. They love all of these fun activities and I have so much fun too. It is amazing how small an act creates so much fun within your family. Let’s be intentional this year and spend lots of quality time with the kids. Once you have kids, Valentine’s Day is no longer just for showing love to your significant other. It’s just as important to show your little loves how much they mean to you! 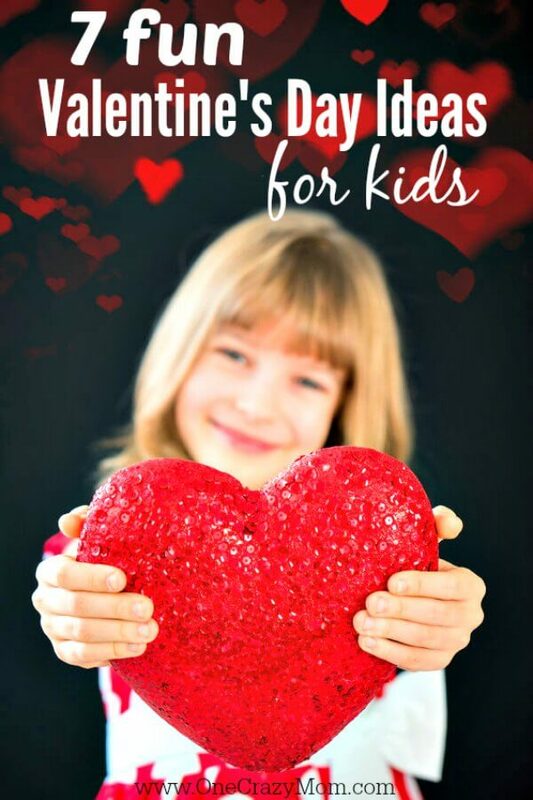 Here are some fun Valentines day ideas to celebrate Valentine’s Day with your kids. You probably already have many of the supplies you need at home. Make a “Why I Love You” wreath. Get out the construction paper, glue, and Popsicle sticks. Make a wreath shape out of the sticks, and cut out medium-sized red hearts. On each heart, write something you love about your child. Finish it off with a pretty bow, and voila! An inexpensive and meaningful gift. Another idea is to make a heart shaped wreath with the kids and create some fun memories together. Everyone will have fun crafting together. Miniature-ize what you give your significant other. A friend of mine always got a half pound box of Fannie May chocolates from her dad for Valentine’s Day (her mom got the two-pound box). She shared that it made her feel so special and grown up that she got something similar to what her dad gave her mom. Isn’t it neat how these traditions stick with us and become so special? If you have more than one kid, time with each of them individually is a precious commodity. Schedule a date with each child and do something they really enjoy. Take a peek at some ideas for your little man and some for your little lady. These ideas will create precious memories everyone will remember for years to come. Make a special meal together. If you plan to cook for your significant other, ask your kids to help. Plan the menu together, enlist their help at the grocery store, and prepare the meal together. My kids love to help in the kitchen, and it’s a great way to enjoy each other’s company. There is an entire Valentine’s Day menu idea for two that will only cost $14! Valentine’s Day Cake Balls would be perfect for dessert! The kids love to help make these and they are so easy and tasty! Kids love looking at pictures of themselves, and photo books from their earlier years are always a big hit. Make a book of some of your favorite pictures throughout the years and apply a cute “love” theme. We love Shutterfly for really cute books. You can often find free codes and just pay shipping! This is something that can be enjoyed all year long because the kids will love looking at these books! At Hobby Lobby, JoAnn’s, and other craft stores, you can find t-shirts, tote bags, etc. that are customizable with iron-on appliqués. Make a shirt or bag with your child’s name or favorite character. Not only does the gift have specific importance for them, but the fact that you made it earns big points! Don’t forget to look for coupons. Most of these stores have weekly coupons to grab! Pick up a heart cookie cutter from Amazon or Walmart and turn everything into hearts. Amazon has a ton of Valentine’s Day baking supplies and heart shaped items. Prepare heart pancakes for breakfast, heart sandwiches for lunch, and heart-shaped garlic bread to accompany pasta with “Valentine’s sauce” (marinara). Kids love a good theme, and if you run with it, you’ll make their day! If you are looking for good valentines ideas, these are creative and budget friendly! No need to spend a ton of money. These ideas are creative and take very little effort or time. Kid’s just want to spend time with us and don’t need more stuff or expensive items. Valentine’s day crafts and fun activities or baking will make kids feel loved and special. Even better, everyone will have memories for years and years to come. That is priceless! Kids will love these craft ideas that include handmade valentines, free printables, paper hearts and more! It doesn’t take much to put together these ideas for kids. Gather everyone together and make some googly eyed, pom pom cute valentine crafts! These craft ideas are so fun! From a kids craft to valentine’s day cards, there are fun and creative ideas for everyone. 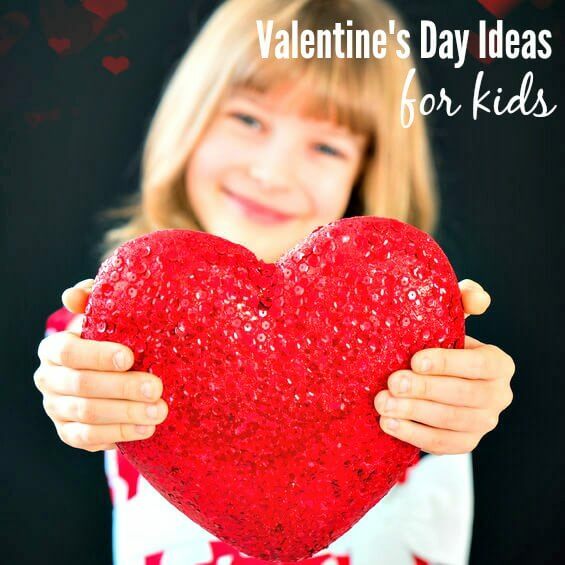 Choose a Valentine idea from these ideas kids will love. Everyone loves to get sweet valentines and these kids valentine ideas are sure to be a hit. 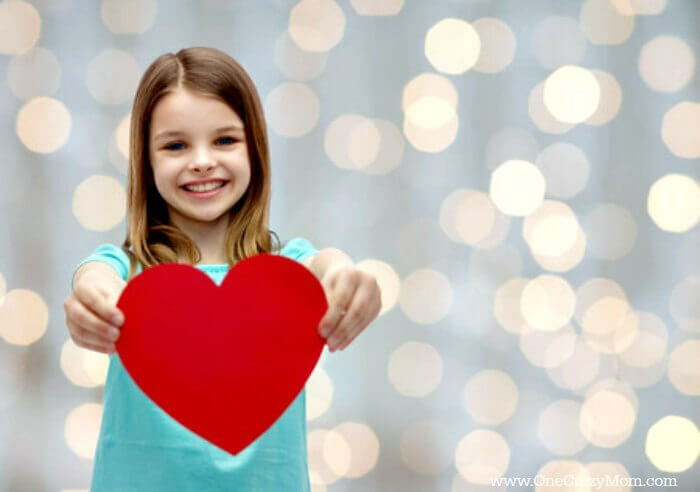 Which of these Valentines Day ideas for children will make your little Valentines feel extra loved? Just be creative and have fun! It’s all about the memories and special moments. Don’t stress on pinterest perfection. The kids don’t care about that. Just have a blast with these fun Valentine’s Day activities. Let us know if you have any special traditions you would like to share. We have 25 free printable valentines day cards for kids sure to be a hit!